Below you fill find all funeral homes and cemeteries in or near Mineral Wells. Suburbs of Mineral Wells: Fort Wolters, Salesville. Their current mayor is Mayor Kevin Harrison. Zip codes in the city: 76067, 76068. Palo Pinto County funeral flowers can be purchased from one of the local funeral shops we partner with. Some of the notable people born here have been: Alvin Garrett (american football player), Kevin Rahm (actor), Shane McAnally (singer and songwriter), and Amanda Shires (singer-songwriter and actor). It was reported by Graham Leader on March 15th, 2019 that James Donald Sr Robbins perished in Mineral Wells, Texas. Robbins was 85 years old. Send flowers to express your sorrow and honor James Donald Sr's life. It was written on December 5th, 2018 that Naomi Meza perished in Mineral Wells, Texas. Meza was 72 years old and was born in Ulysses, KS. Send flowers to express your sympathy and honor Naomi's life. It was noted by Graham Leader on October 19th, 2018 that Frank Lanier Sr Beaman passed on in Mineral Wells, Texas. Beaman was 82 years old and was born in Norfolk, VA. Send flowers to share your condolences and honor Frank Lanier Sr's life. It was reported on July 25th, 2018 that Mary Lynne Boyer (King) perished in Baton Rouge, Louisiana. Ms. Boyer was 66 years old and was born in Mineral Wells, TX. Send flowers to express your sympathy and honor Mary Lynne's life. It was noted by The County Journal on July 19th, 2018 that David R Blessing passed away in Sparta, Illinois. Blessing was 59 years old and was born in Mineral Wells, TX. Send flowers to express your sorrow and honor David R's life. It was revealed by The Desert Sun on March 28th, 2018 that James Wendell Reavis passed on in California. Reavis was 62 years old and was born in Mineral Wells, TX. Send flowers to express your sorrow and honor James Wendell's life. It was revealed by Graham Leader on March 16th, 2018 that Pearl Branys Edwards (Bennett) died in Mineral Wells, Texas. Ms. Edwards was 90 years old. Send flowers to express your sorrow and honor Pearl Branys's life. It was disclosed by Canon City Daily Record on May 26th, 2017 that Mae "Loretta" Campbell (Fallin) perished in Canon City, Colorado. Ms. Campbell was 82 years old and was born in Mineral Wells, TX. Send flowers to share your condolences and honor Mae "Loretta"'s life. It was disclosed on February 23rd, 2017 that Michael A Carey passed on in DeKalb, Illinois. Carey was 63 years old and was born in Mineral Wells, TX. Send flowers to express your sympathy and honor Michael A's life. It was revealed by Graham Leader on February 20th, 2017 that Cason Jack Register passed on in Mineral Wells, Texas. Send flowers to share your condolences and honor Cason Jack's life. The population was 16,946 at the 2000 census. Mineral Wells is most famous for its Baker Hotel. The city is named for mineral springs in the area, which were highly popular in the early 1900s. 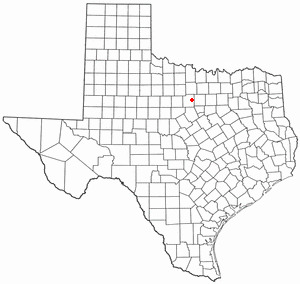 Mineral Wells is a city in Palo Pinto County, Texas and a portion of Parker County, Texas. . The official website for the city of Mineral Wells is http://www.mineralwellstx.gov/. Friends may call from 6 to 8 p.m. today at the funeral home. Scott Nunley, 67, of Ashland, died Saturday, Oct. 23, 2010, at his residence. He was born Jan. 31, 1943, in Mineral Wells,Texas, the son of the late Glen L. Nunley and Nita Porter Nunley. Funeral services will be at 2 p.m. Saturday at Taylor ... he saw active duty from October 1961 until November 1962 at Fort Lewis, Wash., and Mineral Wells, Texas, where he furthered his aviation training by learning to fly helicopters. Listing all funeral homes in Mineral Wells, Texas so you can easily send flowers to any location (same day delivery) or find any funeral service. funerals in Mineral Wells, TX on Yahoo! Local Get Ratings & Reviews on funerals with Photos, Maps, Driving Directions and more. funerals in Mineral Wells, TX 76067 on Yahoo! Local Get Ratings & Reviews on funerals with Photos, Maps, Driving Directions and more. Find a map, directions and more for White's Funeral Homes in Mineral Wells, TX. We work with local florists and flower shops to offer same day delivery. You will find budget sympathy flowers in Mineral Wells here. Our funeral flowers are cheap in price but not in value.